One of the main reasons, I focus on the Dark Ages, rather than earlier (Roman) or later (Gunpowder) eras is that I don't usually like painting units. I started out in miniatures in my teen years as a fantasy RPG player, so even in wargaming, I like the individuality of the figure. However...maybe I am of a different mind now. 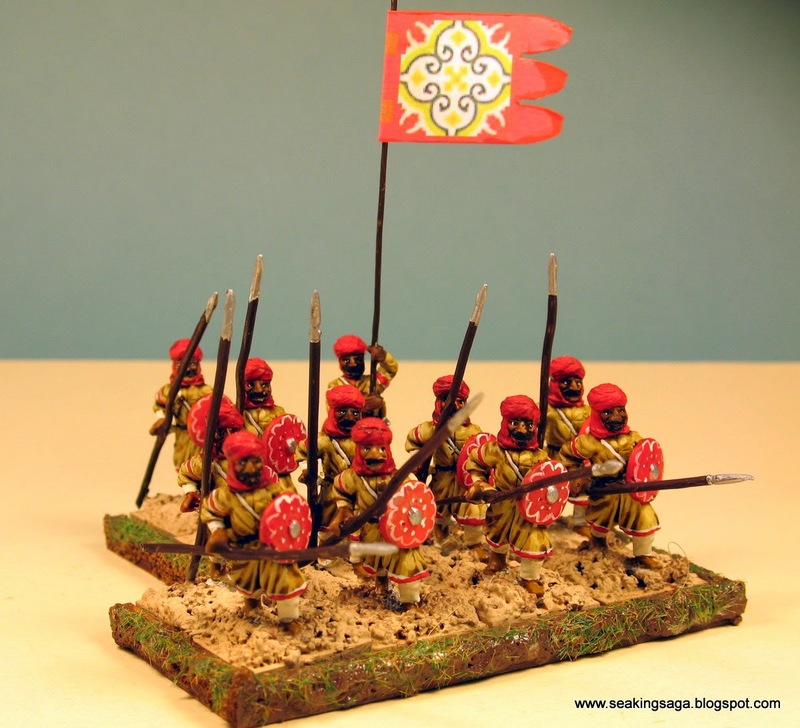 While working on my Gripping Beast Arabs, I also decided to hit the lead mountain and paint this unit of Arab infantry from Essex. Colors and heraldry may have entered Europe through exposure to Muslim armies in Spain or the Near East, so uniformity of colors may be appropriate in this instance. Essex is one of the older players in the historical miniature market and the figures are a bit dated. The posing is stiff, the hands are poorly formed and they are a bit "flat" which was a necessity in older casting tech. On the positive side, fabric folds and belt details are finely done and hold up alongside recent lines. 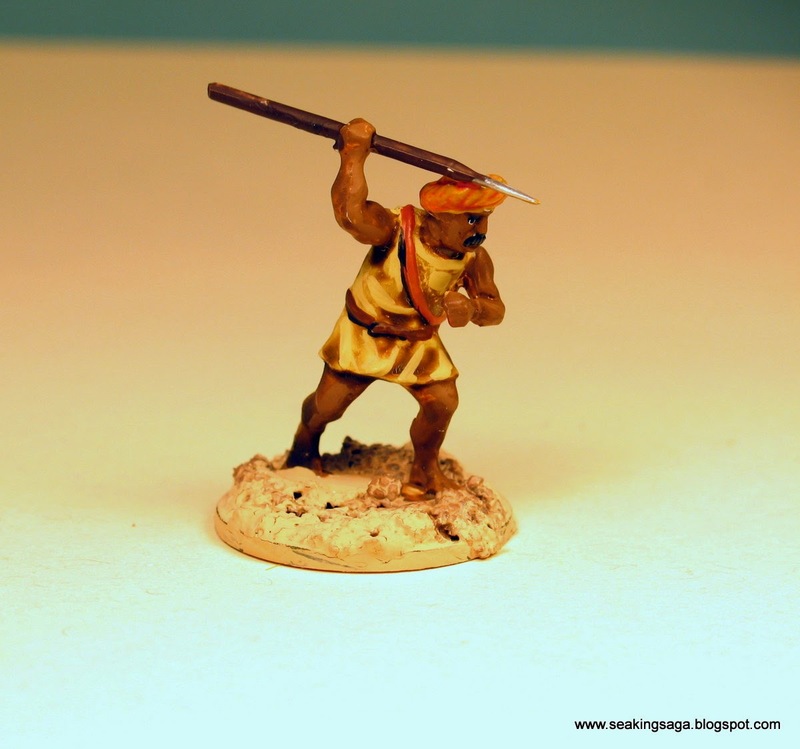 Bonus pic below is another easy conversion of a GB Arab head on a Wargames Factory Numidian body for a light skirmisher. Lovely colors on this splendid unti. thanks. I do have a few weeks with a bit more time to paint, so I try to make the most of it.